HAPPY 100th TO WITHROW HIGH SCHOOL! Join the Withrow H.S. Alumni Association as we commemorate 100 years of academic, civic and athletic excellence at the Withrow Centennial Celebration Weekend. The celebration consists of a series of events that honor the rich and storied traditions of Tigertown, while raising funds to benefit current programs and scholarship opportunities at the school. Join us for a Centennial Gala celebration of Withrow’s 100th birthday. 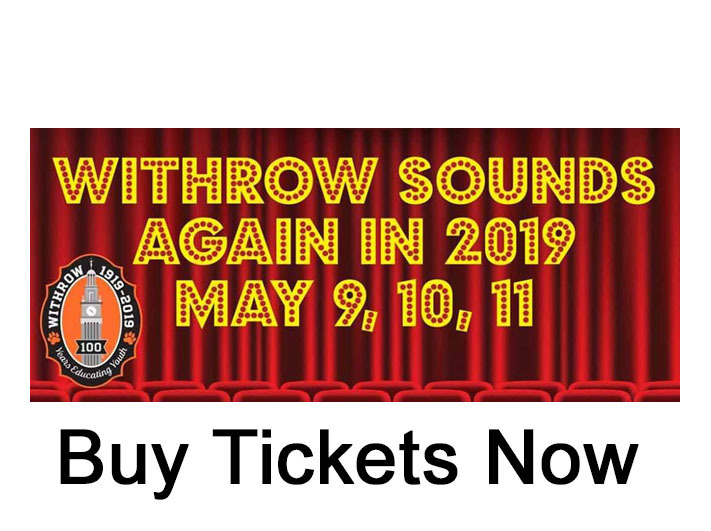 The Withrow Alumni Association cordially invites all alumni to attend this once-in-a-lifetime soiree as we celebrate Withrow milestones and memories throughout the decades. The program will be hosted by our very own Tiger Alum Jenell Walton ’89, left, and CPS Superintendent Laura Mitchell, right, will be the keynote speaker. Pastor KZ Smith ’87 will offer a blessing. Invitations to other special guests are in the works. The program will commemorate 100 years of prolific Withrow history, as well as honor a few Tigers who made significant contributions along the journey. Proceeds raised from this event will benefit the Withrow Business Education Program. Alumni currently involved are Coordinators: Carol Mitchell Lawrence (’84) and Rich Eby (’59), Communications Manager-Nichelle M. Bolden (’84), Marketing Manager-Kitalena Mason (’98), Gala Program Manager-Angelia Burney-Farrell (’84) and Dave Blocksom (’68). Other alumni representing classes scheduling reunions in 2019 include: Kay Eby (’59), Jackie Flaig (’64), Karen Carol Brentley (’69), Sandra Butler (’74), Joanne Stenson-Sawyer (’84), Allison Courtney Hunter (’89) and Sheva Stephens (’89), Danielle Goodwin (’94), James Isaac Robertson (’99), Sahara A. Shackelford (’99) and Keyanna Crossty (’99). Thursday – May 9th – 7:30 pm – Doors open at 6:30 pm, and seating begins at 7 pm. Friday & Saturday – May 10th & 11th – 8:00 pm – Doors will open at 7 pm, and seating begins at 7:30 pm. TICKET PRICES: Adults – $20; Children 12 and under – $10. Reserved seat tickets may be purchased at Eventbrite by clicking HERE. NOTE: Reserved seats are automatically assigned and cannot be selected using a mobile device. A laptop or desktop must be used to view a map of the auditorium seating to select seats. At the above link, choose the night, select Tickets, choose a number of tickets from the drop-down box, then View On Map. Click on the Got It message to view auditorium seating. The yellow dots are available seats. The stage is at the bottom. Hold the left mouse button down and use the hand to move to different areas. Use the + – at the upper left of the screen to zoom in and out. Left click on a desired seat to display the section, row and seat no. If correct, choose Select and then Checkout. Check out who’s coming by clicking HERE. 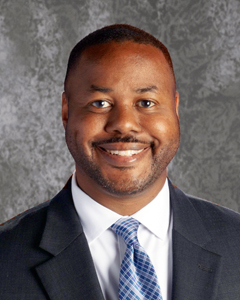 The Major McNeil Scholarship Fund was established in March 2015 by the Class of 1984 and is currently administered through the Cincinnati Scholarship Foundation. Bianca Martin ’15 the first scholarship recipient is currently an Academic Honor Society junior at Central State University. Join your fellow alums and other friends for a day of fun in the sun. You can play individually with other classmates or put together a foursome from your class. For the most fun, play any tees you wish. Come prepared for closest to the pin and longest drive contests. Entries must be received by August 20, 2019. Program is planned to finish by 5:30 pm for those attending an evening event. We are soliciting sponsors for this event. If you own or work for a company willing to sponsor this event or wish to help with reservations or in any way, please fill-out the Centennial Golf Outing Volunteer form by clicking HERE. Current volunteers include Tom Williams ’65, Felix Maye ’86 and John Apgar ’68.